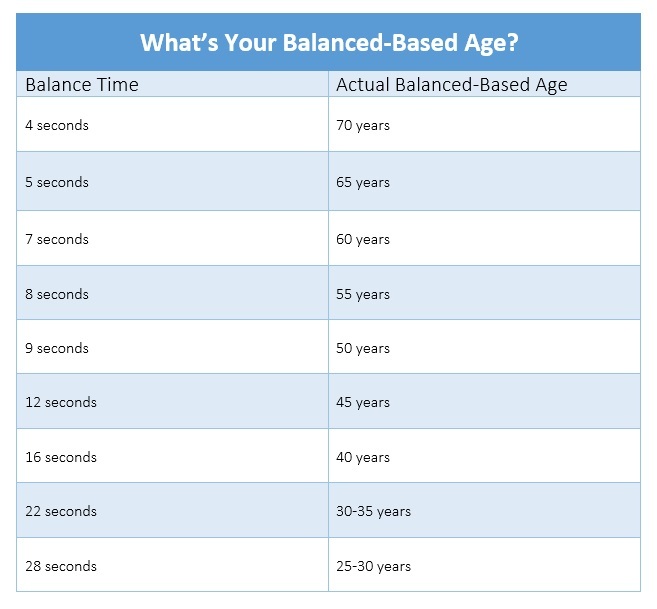 Most people don’t spend any time thinking about their balance until it’s too late – when they actually start swaying when they walk; or worse, fall down and injure themselves. But balance isn’t just a concern for the elderly who are more prone to falls. Balance training is important for anyone who wants to age well, avoid future falls, improve athletic ability, coordination, stamina and overall fitness and health. If you haven’t thought much about maintaining – or improving – your balance, now is a good time to start. Balance is a component of health that you should never overlook. Without it, all of the weight training and exercise in the world won’t help you. In order to stay upright, constant communication occurs between your brain, eyes, ears and the nerve endings in your muscles. As children, we develop balance, climbing trees, walking and running on unsteady surfaces, playing sports, games etc. As adults, we seldom think about balance and rarely practice it. When was the last time you climbed a jungle gym, walked over a log or tried to balance on one leg while brushing your teeth?! Our vision works in tandem with the inner ear to maintain balance. If you take vision out of the equation altogether – by closing your eyes – it’s harder to balance because visual cues from our eyes give us information about where we are in space. Inside the inner ear is a fluid-filled tube called the semi-circular canal and the movement of fluid within this canal alerts your central nervous system as to the position of your head. Ideally, find a partner to time you, because your eyes will be closed. It’s also a good idea to have someone close by in case you fall. Bend one knee and lift the foot – if you’re left-handed, stand on your left leg and lift the right foot just 6″ off the floor; do the opposite if you’re right-handed. Ask the person helping you to time how long you can hold that position without wobbling or opening your eyes. Use the timer on your phone. Practice balancing on one leg every day and several times a day. Brush your teeth on one leg first thing in the morning. Wash your hands at work, balancing on one leg. Wash the dishes on one leg (but please don’t break the dishes). Blow dry your hair balancing on one leg, and have family competitions if you have little ones – who can balance the longest? Don’t wait until you notice that you are starting to sway when you walk. Trust me when I say this – if you are over 50, it’s coming. Sigh … isn’t aging fun?! 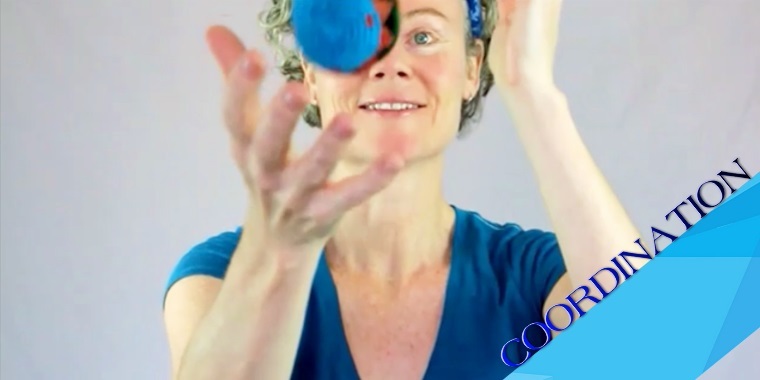 So glad you like the motor skills training – was a fun video to make – balls flying all over the place!